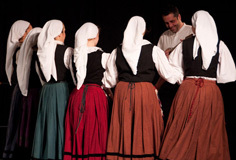 Radost - "Joy" in all the Slavic languages - has presented on stage the dance, music and song of Eastern Europe throughout the Pacific Northwest since 1976. 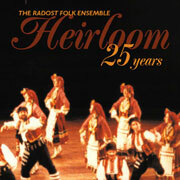 The Radost Folk Ensemble brings color, energy and the precision of ethnic culture to the concert stage. 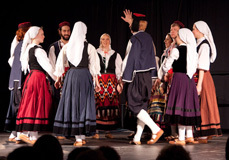 The Radost repertoire includes the traditions of Croatia, Macedonia, Bulgaria, Romania, Hungary, Serbia, Bosnia, Ukraine, and Russia, with the splendor of authentic costumes, and live music on traditional instruments. 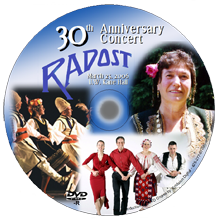 Radost brings vitality and joy to every concert, school assembly and festival performance. Seattle, March, 2014. 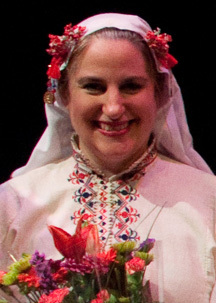 Radost's artistic director, Sidney Deering, is the recipient of the 2014 Gordon Ekvall Tracie Memorial Award, given each year since 1990 by the Ethnic Heritage Council. 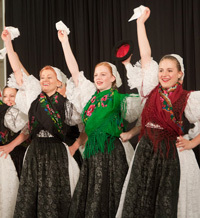 The award is given to an ethnic performing artist who has made significant contributions to the development and presentation of the traditional arts in the local Seattle community.